Jimmy, a bumbling father and police officer who follows protocol to the letter, is trying his best to raise his daughter against all odds. When his mother dies, his world collapses. 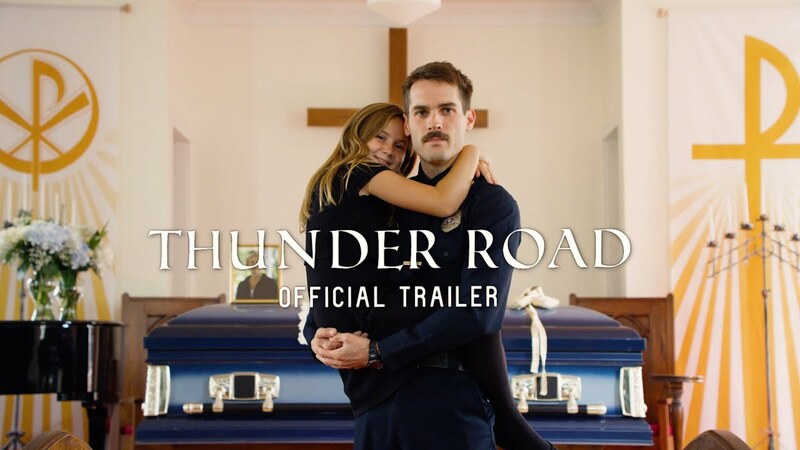 Thunder Road starts off with a bang, opening on a thoroughly breathtaking eulogy scene that’s awkward, funny and disquieting all at the same time. This astounding tragicomedy is a one-man-show brought to you by Jim Cummings, who also plays the unstable lawman prone to violent emotional outbursts. A hilarious romp full of exhilarating twists and turns.